This is the same as Eq. (3.31), with the difference that the inlet fluid temperature (T) replaces the average plate temperature (Tp) with the use of the FR. In Eq. 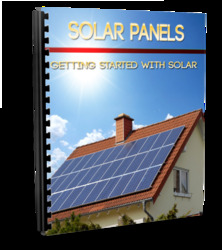 (3.60), the temperature of the inlet fluid, T, depends on the characteristics of the complete solar heating system and the hot water demand or heat demand of the building. However, FR is affected only by the solar collector characteristics, the fluid type, and the fluid flow rate through the collector. 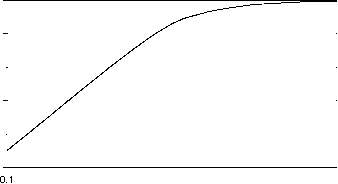 FIGURE 3.29 Collector flow factor as a function of the dimensionless capacitance rate. As in the collector performance tests, described in Chapter 4, the parameters obtained are the FRUL and Fr(to), it is preferable to keep FR in Eq. (3.61). The collector can provide useful output only when the available radiation is higher than the critical one. For incident angles below about 35°, the product t X o is essentially constant and Eqs. (3.60) and (3.62) are linear with respect to the parameter (T - Ta)/Gt, as long as UL remains constant. 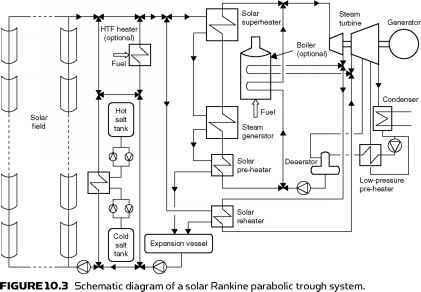 For the collector outlined in Example 3.4, calculate the useful energy and the efficiency if collector area is 4 m2, flow rate is 0.06 kg/s, (to) = 0.8, the global solar radiation for 1 h is 2.88 MJ/m2, and the collector operates at a temperature difference of 5°C. S(6x) = Ut(bx)(Tp - Ta) + hCp_a(bx)(Tp - T) + hrp_b(fix)(Tp - Tb) (3.64) where hc,p-a = convection heat transfer coefficient from absorber plate to air (W/m2-K). hr, p-b = radiation heat transfer coefficient from absorber plate to back plate, which can be obtained from Eq. (2.67), (W/m2-K). dTQ —ox dx where hCbb-a = convection heat transfer coefficient from the back plate to air (W/m2-K).